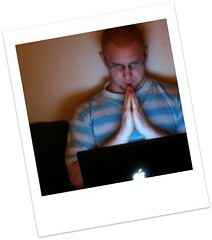 So we reach the conclusion of the Tweet Tweet series of posts with Tweet Tweet IV: Christianity and Twitter. Here I'll discuss how we can utilize Twitter to benefit spiritually and to utilize its social networking aspects to bring people together to do good. Okay, okay, enough about how to use Twitter and how powerful it is becoming... what concrete spiritual benefit can Twitter really provide for me directly and in a Christian standpoint? How about daily devotional and/or daily Bible verses sent directly to your phone (with Device Notifications on, of course) from @Just1Word, @ESVDaily, @Bible4U, @GetUpWithGod, @OurDailyTweet and @DailyBible just to name a few? I encourage you to follow a couple of these and turn on device notifications for at least one. 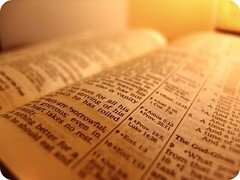 You'll be awestruck at how reading a Bible verse at random (that you may have read countless times before) suddenly finds new meaning when read within a certain context or frame of mind. You can find other Bible related tweeps on the WeFollow Bible Twitter Users page. There's also the #twurch hashtag (twitter + church) for anything church/spiritually related. That's everything from a priests thought on a sermon he's about to give, to tips to help church youth group leaders, etc. You can find other Christian related tweeps on the Twellow Christan page. As discussed earlier, with a large network of Twitter followers, your tweets could really have some impact. There is no better way to raise awareness for your local (or global) cause than to tweet about it and let the twittersphere roll with retweets and replies to help with your cause. Even before the big Oprah Twitter episode, celebrities have been on Twitter to connect to their fans, tweet about their daily happenings and, most importantly, raise money for charities. One of the most followed persons on Twitter happens to be Ashton Kutcher and he knows the kind of impact he can make because of this. Thankfully, he has used his reach to raise awareness for several charities. He and his wife, Demi Moore, recently raised awareness for the KelloggCares Facebook Campaign, a campaign set up to raise at least a million dollars for FeedingAmerica. The celebrity nods don't stop there, Alyssa Milano is currently very active on the Iran Election issue and Lamar Odom recently tweeted about the Walk to Africa campaign. Trent Reznor also helped raise money for a Nine Inch Nails fan who was denied a heart transplant due to the lack of transplant centers in his area. Hugh Jackman offered up a $100K charity donation to the person who could convince him that their charity is most deserving, in 140 characters or less, of course. The winners were CharityWater and OperationHope. Kathy Ireland is attempting to raise one million dollars for Providence Hall, a Christian college preparatory high school. She raises $10 for every follow she gains on Twitter. Celebrities aren't the only ones getting in on the charity drives. Charities themselves have developed Twitter accounts to help raise awareness. 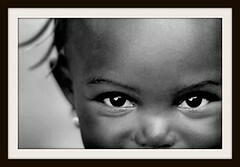 There's @MalariaNoMore, an organization aimed at ending the threat of Malaria. 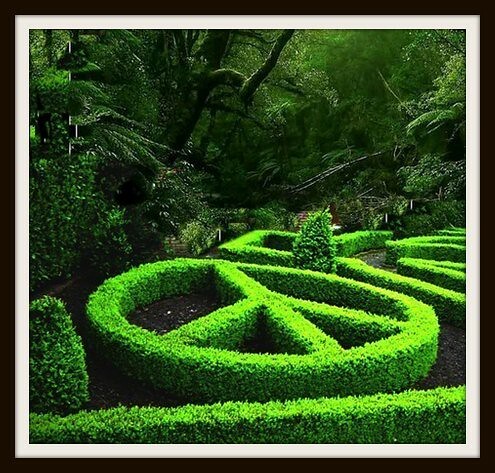 @SocialGood, a movement set up to leverage the power of social networks to do good. There's also @RedCross the American Red Cross Fund and @UnitedWayCA the United Way Capital Area foundation, amongst others. Our very own @FTFTMission, a Coptic Orthodox Youth Mission Group set up to help local communities and outreach programs has also recently set up their own Twitter page! Their website can be found over at ftftmission.org as well. Mashable has compiled a nice list of 25 charities and non-profits on Twitter here. You can also find a whole directory of Charity Twitter accounts on the WeFollow Charity page. Of course, not all of us have the millions of Twitter user reach that some celebrities have, but we can utilize hash-tags to get our voices out there. Every Tuesday is #CharityTuesday on Twitter, where you tweet about your favorite charity or a cause that you want to raise awareness for. Check out the #CharityTuesday search results page to see what charities people are tweeting about. Another way Twitter is used to help charities is with micro-donations. With hundreds of thousands of users, if each person were to donate a micro amount, it would amass to a hefty contribution. There are several ways to go about actually raising awareness/money, each with their own unique level of effectiveness and creativity. Twestival is a Twitter based social organization that is aimed at gathering hundreds of Twitter users together to help a common cause by encouraging users to host their own events to raise money for charities. 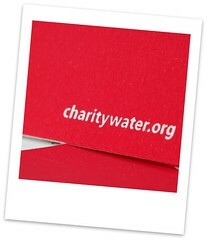 Their last Twestival was very successful at raising a quarter of a million dollars to the charity: water organization. Tweetsgiving was an online viral event held right around Thanksgiving aimed at raising $10,000 for a school in Tanzania -- all in under 48 hours! Tweet-a-thon took your common phone-a-thon idea and brought it to the social networking masses via Ustream.tv and Twitter to raise money for Water is Life. One of the most creative ways to raise awareness and funds for charities would have to be with Twollars. Users donate virtual 'twollars' to charities (or helpful Twittuer users) and then have business or individuals purchase these twollars, have the money go directly to the charities and return the twollars into circulation. You can read more about this neat idea from this Mashable article. The digital charity movement isn't limited to just Twitter, of course. For example, Mashable has a nice article about even more ways you can utilize social networking technologies to help a good cause. There's the Facebook Causes App, which helps causes easily create awareness on Facebook. 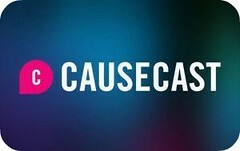 Causecast.org that takes the social video aspect of YouTube and channels that energy and reach into raising awareness for small to large causes. The goal of this blog is to discover how we can use technology to better our spiritual lives, from a Christian point of view. Just from looking at how we can leverage the reach of Twitter to do good and help charities, we clearly see just how feasible this actually is. 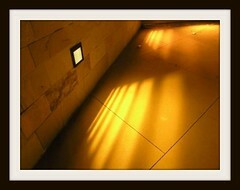 Much as we are given the free will to chose to do good or evil, we have this same choice with the advent of technology. The only difference is we can be much more influential and efficient than we have ever dreamed of. It is therefore up to us to decide whether to use technology to influence ourselves and others to walk more efficiently on the path of Life or fall destructively into the depths of darkness.